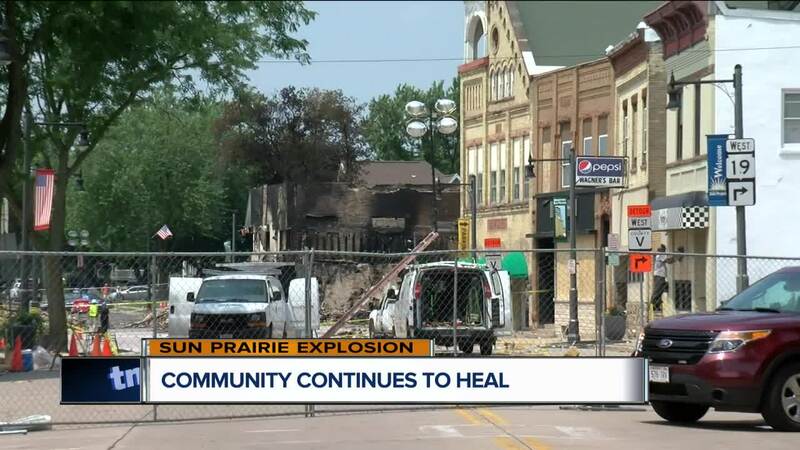 Friday was the first time the community was able to see the damage up close in downtown Sun Prairie following Tuesday's gas explosion. Jill Bender took pictures to show her dad. "It's just kind of emotional," said Bender, Madison. She said it will be hard to explain the magnitude of the damage to her dad, even with pictures. "It's so eerie and it's so quiet down here and it just gives me the creeps," said Bender. Jay Keller expected it to be bad, but he wasn't prepared for this. "If you're familiar with what downtown looked like beforehand then you're not going to recognize it," said Keller. "It looks like a war zone." 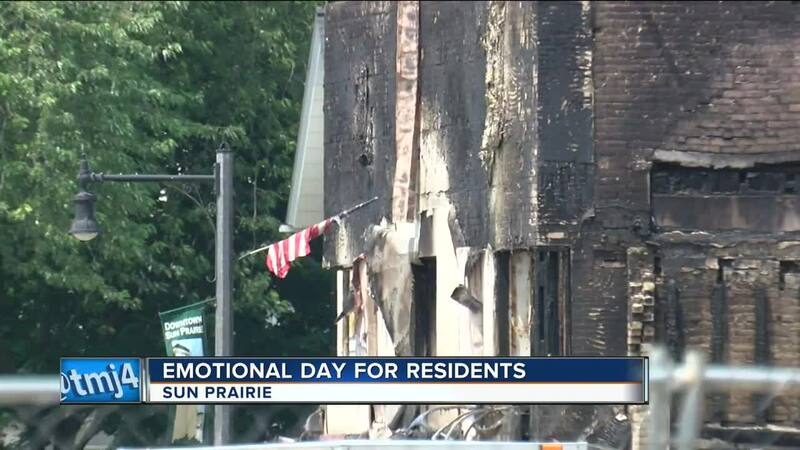 "It has lots of memories and stuff and it's hard to realize that some of that stuff is gone," said Sharon Kroneman, Sun Prairie. Dozens of small business owners were left with a mess. Mr. Rudd's Barber Shop is less than a block away from the site of the explosion. "I was truly elated that we didn't suffer more damage," said Mark Rudd. Javin Labrenz was working when news of the gas leak spread through town. He had just pulled away when he saw the fireball. "I got about two blocks up the street when the explosion happened," said Javin Labrenz. He wasn't able to get back to the business. "One of the gentlemen that was sitting on our bench out here, I know he got hurt a big cut on his legs so I was happy that I wasn't here," said Labrenz. Cory Barr, the firefighter who lost his life in the explosion was a customer there. This is the reason the business owner said he has no reason to complain. "Of course we lost money absolutely, but what is money compared to life," said Rudd.